Resilience engineering has consistently argued that safety is more than the absence of failures. Since the first book was published in 2006, several book chapters and papers have demonstrated the advantage in going behind 'human error' and beyond the failure concept, just as a number of serious accidents have accentuated the need for it. But there has not yet been a comprehensive method for doing so; the Functional Resonance Analysis Method (FRAM) fulfils that need. Whereas commonly used methods explain events by interpreting them in terms of an already existing model, the FRAM is used to model the functions that are needed for everyday performance to succeed. This model can then be used to explain specific events, by showing how functions can be coupled and how the variability of everyday performance sometimes may lead to unexpected and out-of-scale outcomes - either good or bad. The FRAM is based on four principles: equivalence of failures and successes, approximate adjustments, emergence, and functional resonance. As the FRAM is a method rather than a model, it makes no assumptions about how the system under investigation is structured or organised, nor about possible causes and cause-effect relations. Instead of looking for failures and malfunctions, the FRAM explains outcomes in terms of how functions become coupled and how everyday performance variability may resonate. 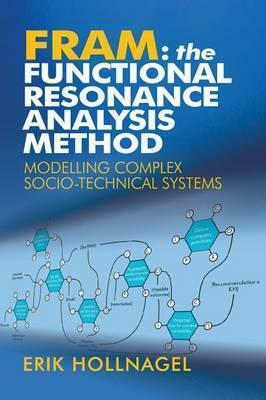 This book presents a detailed and tested method that can be used to model how complex and dynamic socio-technical systems work, to understand why things sometimes go wrong but also why they normally succeed.